MINI of Annapolis is proud to serve drivers like you in Crownsville, MD. Here, you’ll find a wide variety of cars, plus staff members ready and willing to help find the right one for you. Below, we’ll tell you more about Crownsville and how we serve its drivers every day. Learn all about our dealership and don’t hesitate to contact us if you have any questions. Crownsville is a small town in Anne Arundel County, MD, with a population of about 1,800. It hosts the Anne Arundel County Fair every September, as well as the Maryland Renaissance Festival every summer. When those events aren’t happening, there are still ways to have fun in town. For example, there’s the Eisenhower Golf Course. You can either play a round, shop at the Clubhouse, or have a delicious meal at The Restaurant at Eisenhower. There are many more places to explore in Crownsville, which can best be done in a reliable vehicle. Luckily, you can find one at our used car dealership near Crownsville, MD. Our dealership is filled with lots of used and certified pre-owned coupes, sedans, and SUVs. If you’re not sure what car you’re looking for, you can either check out our used car inventory online or visit our used car dealer near Crownsville. If you’re on our website, you can use the search filters to narrow down options by things like mileage and features. If you prefer to head straight to our dealership, one of our friendly staff members will show you around the lot. They’ll ask you questions to help determine what kind of car you want. Then, they’ll direct you to ones that you may be interested in. If you find one that you really like, you can take it on a test drive. Our sales person will show you how everything in the car works, and then let you take it for a spin. You’ll get to test the vehicle’s performance and features to see if it’s right for you. 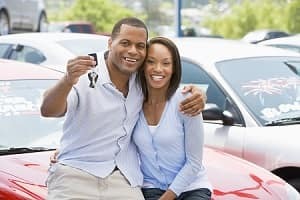 Once you’ve found your new ride, it’s time to start the buying process. This is made easy when you work with the experts at our finance center. Our goal is to make the process as easy and streamlined as possible, so you can feel comfortable and confident the whole way through. We’ll go over you budget and come up with a payment plan that works for you. Then, we’ll reach out to local banks and lenders to get you an auto loan with great terms. Plus, we have a secure finance application that you can fill out ahead of time. Once you’re approved, you’ll be one step closer to driving home in your dream car. We’re sure you’ll want your ideal car to last for as long as possible—and that’s why we have certified technicians who will handle any maintenance or repairs your car needs. In our state-of-the-art service center, we only use the latest equipment and technology to take care of your automobile. Whether it needs a simple oil change or more complex brake repair, we’ll take care of it quickly and efficiently. Plus, we’ll only use genuine OEM parts, which you can order from our parts department if you’d prefer to work on the car yourself. 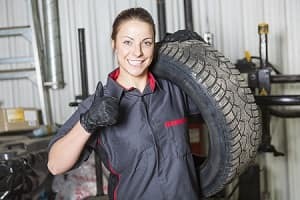 Additionally, we have lots of service specials on our website, which can include anything from standard maintenance checks to new tires. Be sure to check out our specials page to see what we’re offering today. If you’re interested in buying a used car or need yours serviced, we can help! 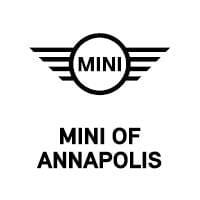 To get started, simply visit us at MINI of Annapolis today!